by ATP Staff | 10.04.2011 World No. 1 Rafael Nadal was invited to an audience with HSH Prince Albert II of Monaco at the Palace of Monaco on Sunday ahead of his participation at the Monte-Carlo Rolex Masters next week. 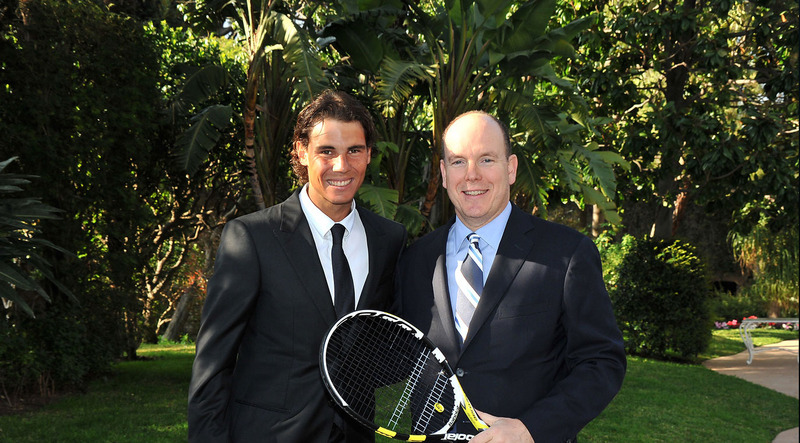 “Thank you for the invitation; it was an honour to come to the Palace of Monaco and a pleasure to meet with HSH Prince Albert II,” said Nadal. “He is a big supporter of the tournament and I want to thank him for everything. Two years ago, Nadal and World No. 4 Andy Murray played an exhibition match in the Palace square with HSH Prince Albert II in attendance. The Prince has also presented Nadal with the winner’s trophy at the Monte-Carlo Rolex Masters the past three years. The Spaniard is chasing a record seventh consecutive title at the Monte-Carlo Rolex Masters and will open his campaign at the ATP World Tour Masters 1000 clay-court tournament against either French qualifier Julien Benneteau or Finland’s Jarkko Nieminen.